People love to overlook certain things that pollute, just because we don't have an alternative yet. We never talk about the emissions caused from cement, which produces more carbon dioxide than the entire aviation industry. Did you know that 5% of all CO2 production comes from cement? There is finally an alternative. The British engineering firm, Novacem, has created a new cement that uses magnesium silicates, which emit no carbon dioxide when they are heated. As the cement hardens, it absorbs CO2. In all, it removes about .6 tons of carbon dioxide per ton of cement used. By the way, does Troll be gone work? 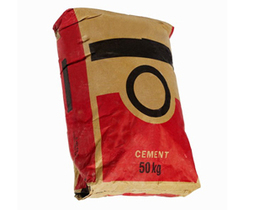 I work in building materials : on the French market, and I believe at least on the European one, ciment is a poor product : locally produced, with low margin for the distribution network, it is one of the building material which is closely watched by end buyers like contractors. Closely watched means lowest bidder wins. Last year the Lafarge company released a new powderless ciment : it was great advance for lung health concerns. But it was 20% more expensive. Guess what kind of ciment I'm selling this year : the good old cheap stuff. Good luck for the pricing. I love it when people just pounce on these "green" materials without arming themselves with ALL the facts. How much more CO2 is required to make this alternative concrete? In the same way that ethanol fuel doesn't actually save fossil fuel oil (it takes a gallon of oil to make gallon (1.2 to be exact) of ethanol) this concrete may not actually be any better then the old stuff. Must be prety dense cement to absorb all that.